This twenty-four unit course (plus introduction) explores the intriguing story of England’s longest-reigning dynasty: the Plantagenets. War seemed to dominate the lives of most Plantagenet kings, especially war with their old nemesis, the Kings of France, or else among themselves. When not buckling on their swords for battle, the Plantagenets were passionate, tempestuous and obsessive. In their case, the stuff of fiction is more often fact. 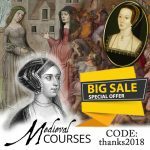 In this user-friendly course with fun quizzes, we explore the 300 years of English history from 1150-1450, from the turbulent civil war of King Stephen’s reign to the beginnings of civil war in the disastrous reign of King Henry VI – yes, history truly does repeat itself. We hear the adventures of Eleanor of Aquitaine; her sons, Richard the Lionheart and bad King John; the Black Prince; John of Gaunt; and Henry V, the hero of Agincourt. As their tales unfold, England emerges from the dark ages to become a vibrant kingdom on an international stage, with the rise of parliamentary democracy and the power of the common man. Warrior Kings of England looks at the Crusades, Magna Carta, the city of London; revolting barons and peasants; the tragedy of the Black Death, and moments of high drama at the battles of Crécy, Poitiers and Agincourt. Glory or desolation – there’s never a dull moment. Narrated by best-selling author, Claire Ridgway, and written by popular historian and medieval specialist, Toni Mount, this audio course brings to life the battle-scarred Plantagenets, the Warrior Kings of England. King Stephen and Henry Plantagenet - How the Plantagenet dynasty – England’s longest-ruling house – came to the throne via a woman. Thomas Becket and Royal Justice - How King Henry II tried to bring justice to all and it ended in tragedy. Eleanor of Aquitaine - The incredible adventures of Henry’s enigmatic and feisty queen. Family in Turmoil, and William Marshal - When Henry was betrayed by his sons at least one man could be relied upon. Richard I, the Crusader King - An introduction to the Crusades and King Richard’s adventures en route to the Holy Land. The Third Crusade and the Return Journey - Richard’s adventures continue, resulting in his imprisonment and ransom. The Death of the Lionheart, and King John - How greed killed King Richard and John began to lose his father’s French Empire. King John, the Pope and Magna Carta - The barons' rebellion caused John to surrender England to the pope and culminated in the rejection of Magna Carta. The Minority of Henry III and Thirteenth Century London - John’s heir was a child but William Marshal was an excellent regent. How London became England’s capital city. The Family of Henry III; Simon de Montfort - Henry got on well with his family but his brother-in-law would rule England in his name and ‘invent’ Parliament. The Barons' War - Continuing the exploits of Simon de Montfort and the bloody aftermath of his last battle. Edward I and the Welsh Wars - Schooled in the military arts by Simon de Montfort, King Edward determined to subdue the Welsh. Queen Eleanor of Castile - The educated woman who won Edward’s heart, bore him many children and caused him to raise the most incredible monuments to her memory. Edward I, 'Hammer of the Scots' - Edward tried to sort out the problems of the Scottish succession but met his match in the Scots hero, William Wallace. Edward II, an Unconventional King - Not at all the son his father could approve of, Edward II was more interested in his male favourites than his French queen, Isabella. 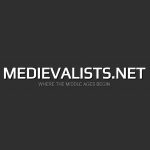 The Abdication of Edward II, the Accession of Edward III - How Isabella and her lover, Roger Mortimer, tried to rule England in her teenage son’s name. The Beginnings of the Hundred Years War and the Black Death - Edward III believed he had a right to rule France but the arrival of the Plague changed war and society. The Black Prince and the Order of the Garter - At the height of English chivalry, a tragic royal hero could fight no more. The Deaths of the Princes, a Young King and the Peasants' Revolt - How the deaths of the Black Prince and Edward III brought another troubled reign with a child king. Richard II: New Loves, New Ideas - Another king with favourites, but at least his queen was a good influence on him. 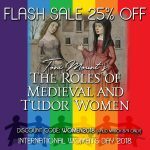 Richard II's Tyranny and the House of Lancaster - With his queen’s death, Richard became a tyrant; only John of Gaunt, Duke of Lancaster, might have saved the day. Henry IV, the Battle of Shrewsbury and a Prince-in-Waiting - When Henry of Lancaster usurped his cousin’s crown, England suffered but the French were in a worse state. Henry V, Treason and the Battle of Agincourt - As much by luck as judgement England’s new king survived a plot and became a warrior hero against the old enemy: France. Conquests in France and the Minority of Henry VI - At the height of his fame, Henry V died, leaving his brothers the job of ruling in his baby son’s name. Cue: Joan of Arc. 12 hours 32 minutes of audio - both streaming and downloadable mp3 files. 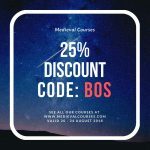 In this introduction to the course, Toni gives us a brief summary of history from 1066, and the Norman Conquest, to 1135 - a potted history of England before the Plantagenets. In lesson 1, which examines the reigns of King Stephen and King Henry II, we discover how the Plantagenet dynasty – England’s longest-ruling house – came to the throne via a woman: Empress Matilda. We also look at the reconstruction of England in Henry II's reign. How King Henry II tried to bring justice to all and it ended in tragedy. In Lesson 2, we discover exactly who Thomas Becket, that famous English saint, was and how he came into conflict with King Henry II. We also learn about the steps taken by Henry to create a firm, fair, well-financed and efficient government. The incredible adventures of Henry’s enigmatic and feisty queen. In lesson 3, we examine the background of Eleanor of Aquitaine, heiress to one of the richest domains in medieval Europe, wife of Louis VII of France and then Henry II of England, and mother of Richard the Lionheart and King John. Just how did she end up marrying the King of England and why did she become his prisoner? When Henry was betrayed by his sons at least one man could be relied upon. In Lesson 4, Toni Mount teaches us all about the children of Henry II and Eleanor of Aquitaine, what led Henry's sons to rebel against their father and king, and who exactly William Marshal, Henry's faithful servant, was. An introduction to the Crusades and King Richard’s adventures en route to the Holy Land. After a brief introduction to the Crusades, we are introduced to Richard I, the Lionheart and Crusader King of England, Henry II's heir, and his eventful travels through France, Italy, Sicily, Cyprus, and on to Acre, in the Holy Land. Richard’s adventures continue, resulting in his imprisonment and ransom. In this lesson, we learn all about the Siege of Acre, Richard's attempts to capture Jerusalem, Richard's return to Europe and how his inability to be humble led to him being captured and imprisoned, and how he was eventually able to return home to England as the country's hero-king, the Lionheart. How greed killed King Richard and how John began to lose his father's French Empire. In this lesson, we examine the last days of King Richard, the fatal mistake that led to his death in 1199, and how this flawed hero became the famous Coeur de Lion. We are then introduced to King John, Richard's brother who acceded to the throne even though some influential men favoured the King's nephew, Arthur, and how he lost most of his inheritance. Was John deserving of his nickname "John Softsword"? The barons' rebellion caused John to surrender England to the pope and culminated in the rejection of Magna Carta. In this lesson, we learn all about Pope Innocent III's sentence of interdict upon England and his excommunication of King John, affairs in England at this time, John's trouble with France and his own barons, Magna Carta and how it "contained statements of principle which remain applicable today", the annulment of the treaty and the return to rebellion, and the end of King John, ‘a great prince certainly, though scarcely a happy one’. John’s heir was a child but William Marshal was an excellent regent. How London became England’s capital city. In this lesson, we examine the regency of William Marshal and the challenges he faced, justice during Henry III's minority with the restoration of due process of law, the growth of the City of London in wealth and power, and Henry III's marriage to Eleanor of Provence. Henry got on well with his family but his brother-in-law would rule England in his name and ‘invent’ Parliament. 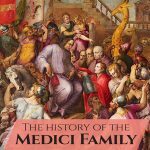 In this lesson, we learn all about Henry III's siblings, the five children of King John and hs second wife, Isabelle of Angoulême; Henry's wife, Eleanor of Provence, and their children; and Simon de Montfort, husband of the King's sister, Eleanor, and how trouble brewed between Simon and the King. Continuing the exploits of Simon de Montfort and the bloody aftermath of his last battle. In lesson 11, we discover just how Earl Simon de Montfort was brought to power in his adoptive country by a baronial group that for some years had been seeking to reform the king’s government. We learn about the background of the Barons' War, the Provisions of Oxford, de Monfort's alliance with Lord Edward, the battles of the Barons' War, and the aftermath of the Battle of Evesham. Schooled in the military arts by Simon de Montfort, King Edward was determined to subdue the Welsh. In this lesson, we are introduced to the new king, Edward I, we examine 13th century Wales and the Marches, and we discover how Edward financed his Welsh wars and his famous castle building projects in North Wales, many of which still stand today. We also consider Edward as an incurable romantic, with his perpetuation of the Arthurian legends. The educated woman who won Edward’s heart, bore him many children and caused him to raise the most incredible monuments to her memory. In this lesson, we learn all about Queen Eleanor of Castile and the children she bore Edward, and the devotion she inspired in her husband which led to him erecting the famous Eleanor Crosses across eastern England from Lincoln, through the East Midlands, to London as a lasting testament of his love for his queen. Edward tried to sort out the problems of the Scottish succession but met his match in the Scots hero, William Wallace. "Did the King of Scots hold his realm as a vassal of the King of England?" This was the question that obsessed Edward during the last decade of the thirteenth century and became his ‘Great Cause’. In this lesson, we examine the issue of the Scottish succession and the problems caused by the premature death of King Alexander III and the death of Queen Eleanor, the little Maid of Norway; we look at the claimants to the throne and the Scottish lords' treaty with France, and, finally, the history behind "Braveheart", the real story of William Wallace. Not at all the son his father could approve of, Edward II was more interested in his male favourites than his French queen, Isabella. In this lesson, we consider Edward II, his marriage to Queen Isabella of France, who has gone down as the She-wolf; Edward's relationship with Piers Gaveston and the trouble it caused with the Lords Ordainers; Thomas, Earl of Lancaster; the Despenser family as the new favourites and Queen Isabella's actions against them. How Queen Isabella and her lover, Roger Mortimer, tried to rule England in her teenage son’s name. After Edward II was forced to flee from his queen's army, Parliament deposed him and his eldest son, Edward, was crowned Edward III in his place. In this lesson, we look at the King's abdication and demise, and how Queen Isabella and Mortimer exploited their position ruthlessly, and we consider the rise of Edward III after his coup d'etat against Mortimer, and his marriage to Philippa of Hainault. Edward III believed he had a right to rule France, but the arrival of the Plague changed war and society. In lesson 17, we examine the causes of the Hundred Years War, how wars were fought in the 14th century, the Crécy campaign and how England was victorious, England before the coming of the Pestilence and the effects of the Black Death on England and her people. At the height of English chivalry, a tragic royal hero could fight no more. Edward III has gone down in history as the founder of that great chivalric order, the Order of the Garter, which he founded to reward conspicuous service and give a sense of unity to the knights who had fought at the king’s side in France. In this lesson, we learn all about the Order's history and the French war that led to its founding. We also learn about the early life of Edward of Woodstock, the Black Prince, trouble with Scotland and Edward III's victory at Halidon Hill, the royal family, and the marriage of the Black Prince to Joan of Kent. How the deaths of the Black Prince and Edward III brought another troubled reign with a child king. In this lesson, we consider the impact of the death of the Black Prince and the decline and death of Edward III, the minority of Richard II, son of the Black Prince, the grievances of the common people against the government and the Church, and the resulting revolt led by Wat Tyler. Richard II: A king with favourites but at least his queen was a good influence on him. In this lesson, we consider the marriage of Richard II to Anne of Bohemia, a woman who, like his mother, was an influence for tolerance and reconciliation; Richard's friendship with and favour of Robert de Vere; Richard's pursuit of peace with France and his Irish policy, and his marriage to Isabella of Valois after the death of Queen Anne. With his queen’s death, Richard became a tyrant; only John of Gaunt, Duke of Lancaster, might have saved the day. After his marriage to Isabella of France at the beginning of 1397, according to the chronicler, Thomas Walsingham, Richard began to ‘act the tyrant and oppress the people’. This tyranny resulted in Henry of Bolingbroke, also a grandson of Edward III, rising against the King, fighting for his Lancaster inheritance and claiming the crown. When Henry of Lancaster usurped his cousin’s crown, England suffered but the French were in a worse state. In this lesson, we look at the rebellion of the Percys, which led to the Battle of Shrewsbury, and the Beauforts' plot to depose the King and replace him with the Prince of Wales. Toni also introduces us to French politics and the sorry state that France was in when it faced its greatest enemy of all: Henry V of England. As much by luck as judgement England’s new king survived a plot and became a warrior hero against the old enemy: France. Henry V becomes king and faces not only renewed war with France but also trouble at home with the Southampton Plot. Of course, no examination of this warrior king is complete without considering the famous Battle of Agincourt. At the height of his fame, Henry V died, leaving his brothers the job of ruling in his baby son’s name. Cue: Joan of Arc. Following his victory at Agincourt, Henry V sets out to conquer the whole of France. Things look good for England when the Armagnacs murder the Duke of Burgundy and his party, and Henry marries Princess Katherine of France, but as Henry prepares to battle the Dauphin he is struck down with an illness and dies. His infant son becomes King Henry VI. French fortunes change with the arrival on the scene of Joan of Arc, a peasant girl who claims that saints have told her she must save France.